You may know we're never ones to shy away from a theme! With 4th of July tomorrow, I thought I'd put together a fun patriotic look that's equally perfect for the holiday, or just a fun day-to-day Americana look. 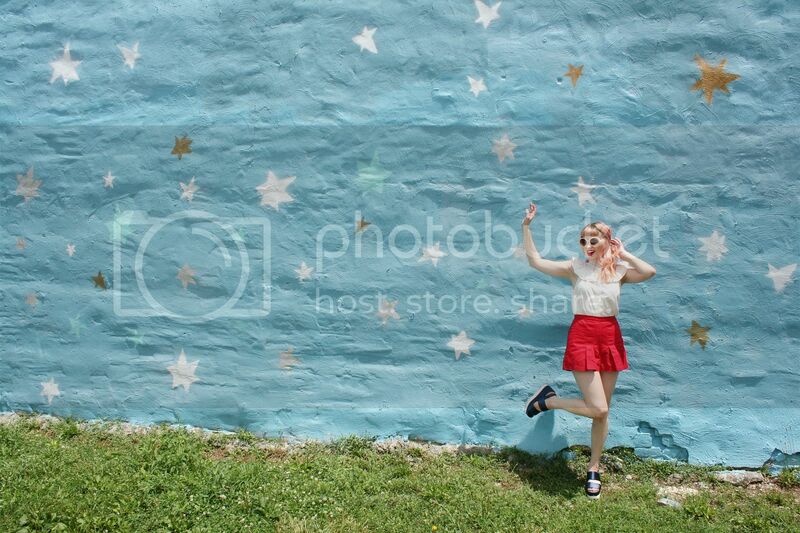 When I found the blue KC Star Wall, I knew it would be just the background for bold white and red colorblocking. A crisp white blouse with lots of frills is equal parts fun and polished and pleated red shorts are their perfect companion. Chunky navy platforms round out the colors of the flag nicely. 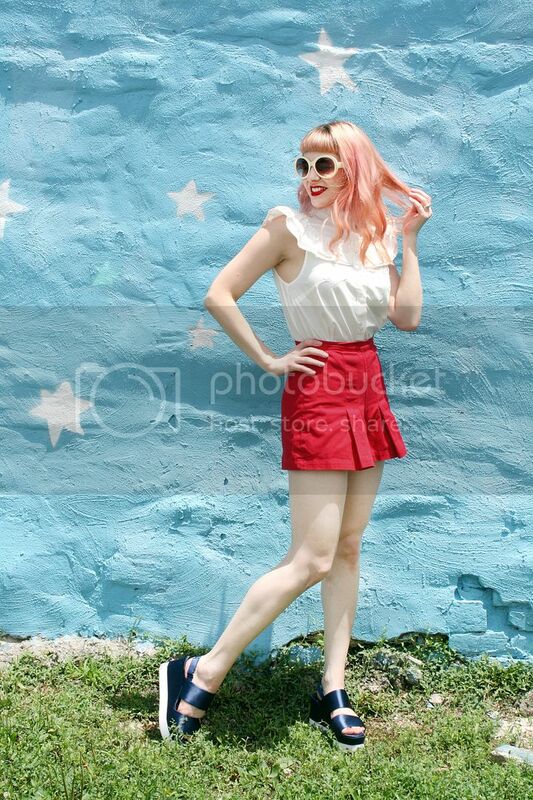 White sunnies and a bright red lip up the retro factor and keep the look bold and simple. How about you, do you like to dress up for the 4th of July, or other holidays?